Last year, former US Secretary of State Rex Tillerson began to form a quad of India, Japan, Australia and the US to counter China with India at the forefront to confront China. Tillerson’s quad was based on the “the structural factors in the relationship suggest that the rivalry will intensify in the long run” as described in Stratfor’s April-27 article “India and China’s Rapprochement Extends Only Skin Deep”. Yes, China’s iron brotherhood with India’s most implacable enemy Pakistan is an insurmountable obstacle and China’s Belt-and-Road economic expansion in Pakistan, Sri Lanka, Bangladesh and Maldives constitutes an even more painful headache. Compared with those two problems the border disputes between the two countries are negligible issues. The disputed areas, though big, are but poor barren land with little population. That was why the Stratfor article believes that the leaders of the two countries Modi and Xi Jiping’s efforts to improve bilateral relations are doomed to failure in the long run. However, Stratfor fails to see a vital issue that forces India to avoid confrontation with China – water: water from China’s Yarlung Zangpo River, major source of water for India’s Ganges. China is drawing plans for diverting water from Yarlung Zangpo to its desert in Xinjiang. The project may greatly reduce Ganges’ water if diverted through open water channels due to lost into soil and air in the way. The water reduction may be much smaller if the water is diverted through pipelines that will cost a lot more to build. In military confrontation, India is still scared by China due to the memory of its sad defeat in the 1960s. Chinese military is much stronger now, but China need not use its military to subdue India. Cutting the water source is just enough. Before the Hong Kong issue was solved by the Sino-British Joint Declaration, I discussed the issue with some British people in Hong Kong. I said that if China sent PLA to take Hong Kong, Britain simply could not defend Hong Kong. The British people said, “No need to send PLA. Switch off water tap, we surrender.” Most of the fresh water Hong Kong used came from China. Comment by Chan Kai Yee on Stratfor’s article, full text of which can be viewed at https://www.reuters.com/article/us-india-navy-exercises/india-wont-include-australia-in-naval-drills-fears-china-backlash-idUSKBN18Q1VD. “In the future, hypersonic and directed energy weapons, resilient space, cyber and network-capabilities, and well-trained soldiers, sailors, airmen, marines, and coastguardsmen will be crucial to our ability to fight and win,” the four-star admiral said in written answers to questions from the Senate Armed Services Committee. On China’s militarization and take over of the South China Sea, Davidson said the buildup of forward military bases began in December 2013 at Johnson Reef in the Spratly islands. Since then, the Chinese have fortified that reef and six others with military facilities, Davidson said. “In the South China Sea, the PLA has constructed a variety of radar, electronic attack, and defense capabilities on the disputed Spratly Islands, to include: Cuarteron Reef, Fiery Cross Reef, Gaven Reef, Hughes Reef, Johnson Reef, Mischief Reef and Subi Reef,” Davidson said. “These facilities significantly expand the real-time domain awareness, [intelligence, surveillance reconnaissance], and jamming capabilities of the PLA over a large portion of the South China Sea, presenting a substantial challenge to U.S. military operations in this region,” he added. The bases on the seven islands include hangars, barracks, underground fuel and water storage facilities, and bunkers for “offense and defensive kinetic and non-kinetic systems,” he states. “These actions stand in direct contrast to the assertion that President Xi made in 2015 in the Rose Garden when he commented that Beijing had no intent to militarize the South China Sea,” Davidson said. In the East China Sea, China continues to send aircraft and ships to waters near Japan’s Senkaku Islands, which China is claiming as its islands. The Chinese have continued a steady level of activity that reflects “China’s intent to coerce Japan without sparking a crisis or conflict,” Davidson said. China’s relations with the democratic ruled island of Taiwan remain tense and any improvement in relations was described by Davidson as dim. The statements revealed new details about China’s military buildup and regional expansion the prepared answers to policy questions. 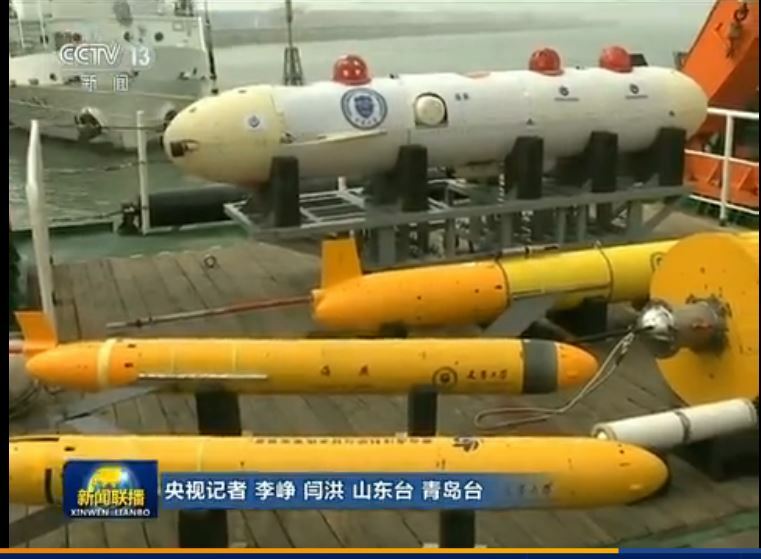 China’s submarine forces still lag behind those of the United States but China is making progress in developing quieter submarines. Its air forces are also growing in sophistication with advanced stealth fighters, long-range bombers and advanced unmanned aircraft. Beijing’s cyber warfare capabilities are significant and go well beyond intelligence-gathering with plans for attacks on military command and control networks, he said. Current naval forces are insufficient in backing Pacific Command’s needs, he said. To deal with China, “the United States should expand the competitive space by investing in next-generation capabilities (e.g., hypersonic technology) while simultaneously recognizing that China is already weaponizing space and cyber,” Davidson stated. “I view the long-range, hypersonic weapon capability that Conventional Prompt Strike would provide as essential to our ability to compete, deter, and win against a strategic competitor such as China,” he said. Rick Fisher, a senior fellow at the International Assessment and Strategy Center, said the admiral’s comments provide a great service in helping Americans recognize that China is working to shape the world according to its authoritarian model. In response to China’s two new medium- and intermediate-range anti-ship missiles, the United States needs to build similar missiles currently banned under the U.S.-Russian Intermediate-range Nuclear Forces (INF) treaty, Davidson stated. “China continues to improve its ballistic missile capabilities, with the DF-21 and DF-26 missiles offering improved range, accuracy, lethality, and reliability over legacy Chinese systems,” he said. “Simultaneously, China is pursuing advanced capabilities (e.g., hypersonic missiles) which the United States has no current defense against,” he said. “In the Indo-Pacific, the absence of the INF Treaty would provide additional options to counter China’s existing missile capabilities, complicate adversary decision making, and impose costs by forcing adversaries to spend money on expensive missile defense systems,” the admiral said. On China’s nuclear buildup, Davidson said the expansion of nuclear forces does not appear to indicate Beijing is abandoning its policy of not being the first to use nuclear arms in a conflict. In response to a recent Rand Corp. study that warned the United States risks losing a war with China, Davidson said he has “increasing concerns” about a future conflict. “China has undergone a rapid military modernization over the last three decades and is approaching parity in a number of critical areas; there is no guarantee that the United States would win a future conflict with China,” he said, noting U.S. advantages in personnel, training, and joint warfighting. To bolster U.S. warfighting capabilities in Asia, the U.S. military should rapidly develop “high-end” weapons, preserve regional alliances, and continue to recruit high-quality people. Reflecting the Trump administration’s strategic policies that identify China as a threat, Davidson said China is using its development initiative called Belt and Road to advance anti-democratic expansion. “It is increasingly clear that China wants to shape a world aligned with its own authoritarian model,” he said. Note: This is Washington Free Beacon’s report I post here for readers’ information. It does not mean that I agree or disagree with the report’ views. WUHAN, China (Reuters) – The leaders of China and India agreed to open a new chapter in their relationship on Saturday after an informal summit, just months after a dispute over a stretch of their high-altitude Himalayan border rekindled fears of war. 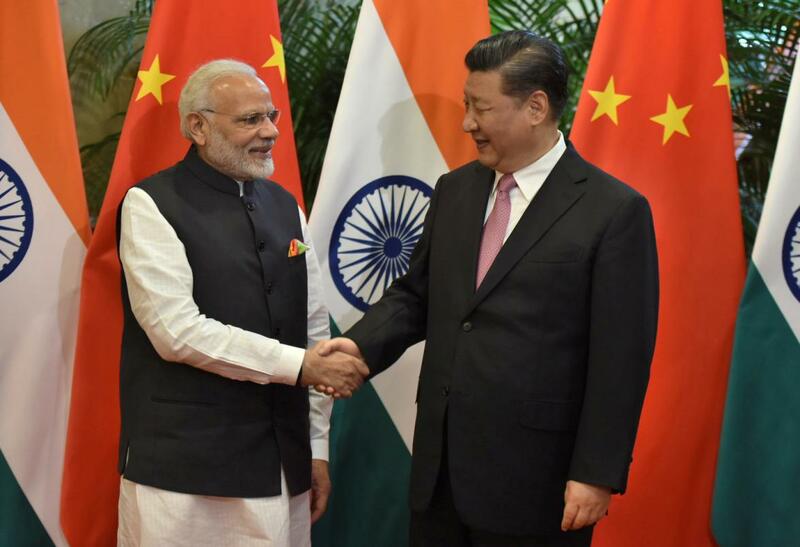 WUHAN, China (Reuters) – Indian Prime Minister Narendra Modi invited Chinese President Xi Jinping to an informal summit next year as he began an ice-breaking visit to China on Friday in which the giant neighbors are seeking to re-set troubled ties. “I hope such informal summits becomes a tradition between both the countries. I’ll be happy, if in 2019 we can have such an informal summit in India,” Modi said, in comments broadcast in a media center for reporters in Wuhan. Xi told Modi that their two countries’ influence in world and region was steadily on the rise. “Looking ahead, we see a fast pace and bright future for China-India cooperation,” Xi said. “China and India are both important engines for global growth and we are central pillars for promoting a multi-polar and globalized world. A good China-India relationship is an important and positive factor for maintaining peace and stability in the world,” he added. Modi said that as India and China represented 40 percent of the world’s population, they needed to try to work together to tackle global problems. Stressing the importance of world peace, Modi said both nations have to “make all possible contributions”. An Indian official, speaking on condition of anonymity, told reporters in Wuhan that Modi’s meeting with Xi was supposed to be half an hour but lasted for more than two hours. The museum visit had also lasted longer than planned. “The fact he (Xi) showed him around the museum was a special gesture on his part,” the official added. But despite the rhetoric on Friday, the nations’ differences are significant. India signaled as recently as Tuesday its opposition to the grand trade and transport plan because one of its branches runs through Pakistani-administered Kashmir, which India claims. But there was no public mention of any differences on Friday. Earlier in the day, Modi and Xi viewed antique Chinese artifacts at the Hubei Provincial Museum, where they also exchanged views on boosting dialogue between their two ancient civilizations and how to live peacefully together, China’s state news agency Xinhua said. The two were due to have dinner together later, according to India’s foreign ministry. On Saturday, they will take a walk together and then an hour-long boat-trip, informal settings mostly without aides that both sides are hoping will lead to frank discussions. In a commentary on Friday, the ruling Communist Party’s official People’s Daily said the cultures of both China and India set great store on the concept of harmony, and pointed out the Hubei Provincial Museum had in 2014 held a special exhibition on India. “The friendly exchanges between China and India have again and again seen composed moving stories, creating a model for inter-cultural dialogue in the world,” it said. The museum in Wuhan, an industrial and university provincial capital with no obvious connection to India, was closed ahead of the leaders’ visit. A plain clothes police office told a Reuters reporter to stop taking pictures. A sign at the entrance said it was closed for four days due to “equipment maintenance”. 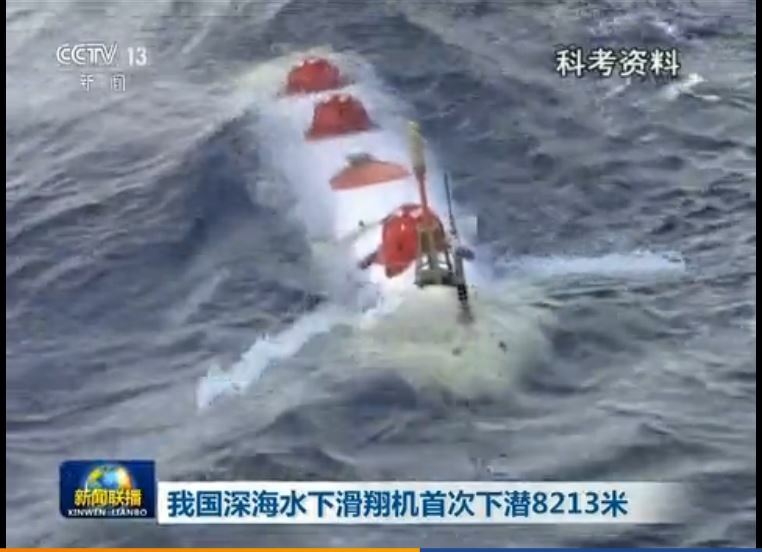 CCTV publishes footage in its primetime news on April 21 that China’s scientific survey ship Xiangyanghong 18 conducted 30 days of underwater survey at Mariana Trench with 31 sets of Haiyan 4,000-meter grade and Haiyan 10,000-meter grade underwater gliders with entire Chinese intellectual property. It conducted underwater observation at 18 sections with 3 sections deeper than 4,000 meters and reached the working depth of 8,213 meters, a new world record of underwater glider diving depth. •Domestic smartphones are gaining market share, CNBC reports, as Apple’s iPhone lost its #4 position to Xiaomi. Consumers are increasingly opting for local brands such as Huawei, Oppo, Vivo, and Xiaomi, even — or especially — as the overall demand for phones falls. •“Tesla has over 300 Chinese startups hot on its tail,” Nikkei reports, illustrating how high domestic investor enthusiasm for electric vehicles has become. Also in the news, per Caixin: Electric vehicle-maker Singulato set to raise $476 million. •A state-backed semiconductor fund is filling up, Reuters says, as a second round of funding for 120 billion yuan ($19 billion) was “near to closing,” on top of $22 billion from the previous round. 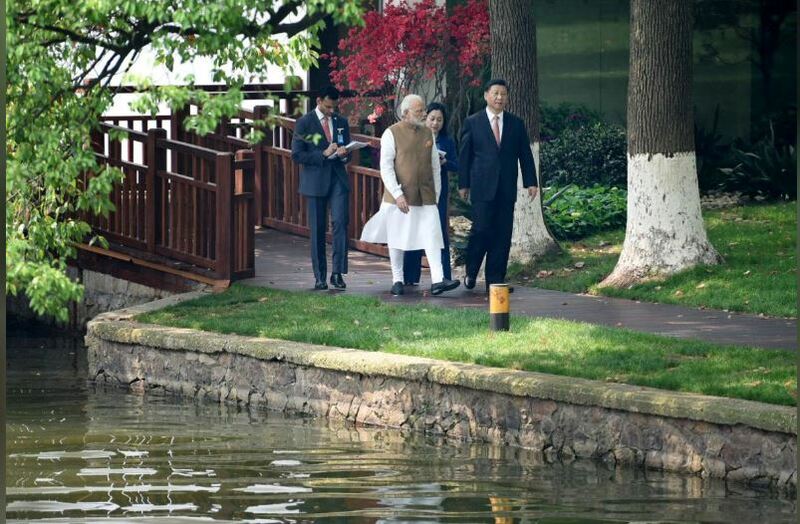 Indian Prime Minister Narendra Modi “will have an ‘informal and heart-to-heart’ two-day summit with the ever-powerful Chinese President Xi Jinping in Mao Zedong’s favorite holiday spot on Friday,” reports India Today’s Ananth Krishnan from Wuhan, Hubei Province. •“Xi leaving Beijing to meet a foreign leader is being seen as an unprecedented gesture,” according to Krishnan. ◦India is hedging its bets against “an uncertain period in world politics,” as China grows closer to Russia while the North Korean crisis may help Beijing “improve ties” with Washington. •Another factor noted by the New York Times (paywall): “Analysts say Mr. Modi is fixated on winning next year’s election in India,” and because of “the fraught relationship between China and India right now,” the Indian PM needs Xi’s help. •Chinese investments in India “added up to more than $8 billion” by the end of 2017, according to an official quoted in another India Today story by Ananth Krishnan, which looks at bilateral trade and investment. For more on the complicated history of Sino-Indian ties, read Dancing with the dragon? Deciphering India’s ‘China reset,’ by Tanvi Madan. You can follow the Modi visit to Wuhan in real time on Ananth Krishnan’s Twitter feed.